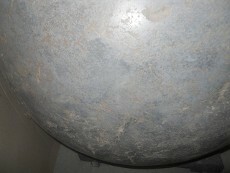 Above is an example of a hand pressed technique in which the main cast color used was coal, once demolded, infill slurry color of ash was applied to the veining to create a marbling effect. 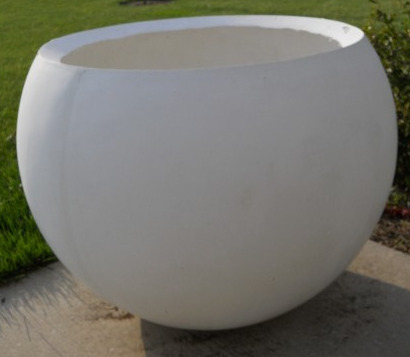 Color combination choices, size, shape, polished or natural surface are some of the options that are available with hand pressed decorative planters. 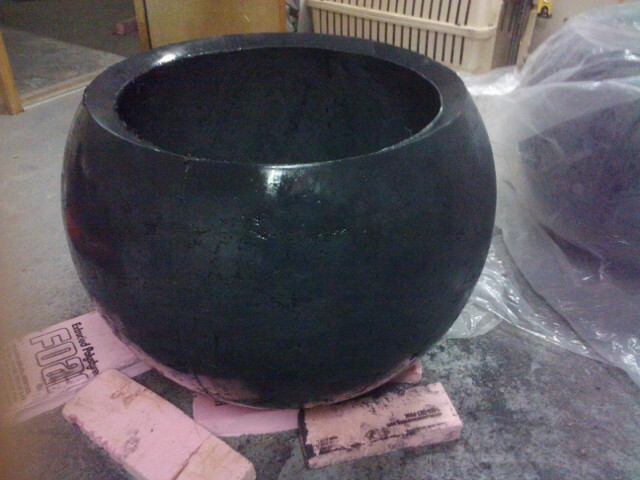 Below is an example of the same color combination without polishing. 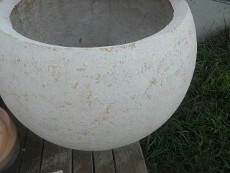 Sizes shown are 30" diameter, however also available in 48" diameter. 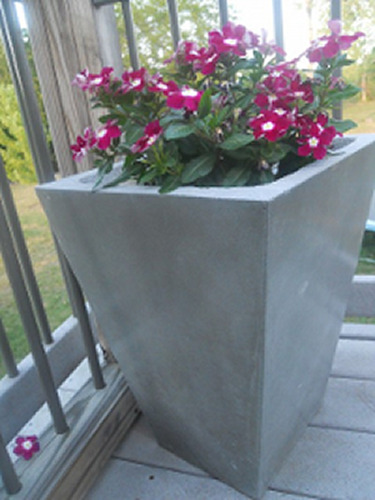 Below is an example of a planter in which the GFRC (glass fiber reinforced concrete) method was used. The main cast color shown is bone. 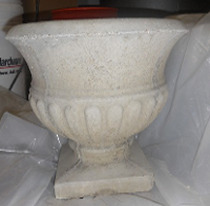 A few of the benefit options of GFRC is that it is more cost effective (less material and labor used), the weight is much lighter and therefore easier to reposition if so desired. 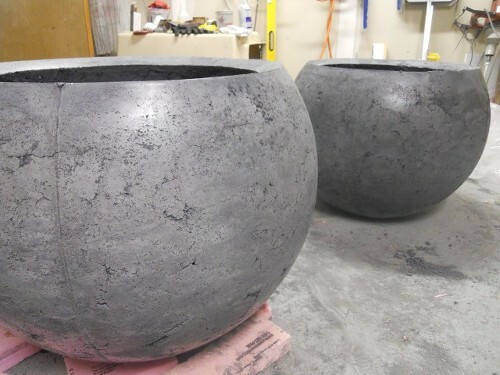 Even though GFRC planters are much less in weight, due to the fiber reinforcement, strength and durability is as exceptional as the hand pressed. 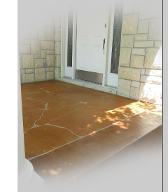 Many color choices and sizes are also available, however two toned options and a natural finish (less glossy) is not as prominant. 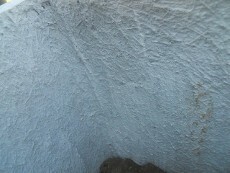 Photo to the left displays the inside view in which the fibers of the GFRC mix are visible. 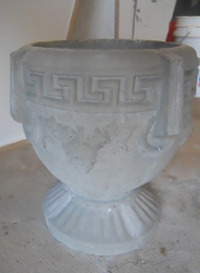 Below are additional planter examples we offer at Over the Top.